Advent Calendar Tags. A set of 24 gift tags with string (10.5 x 6cm each). 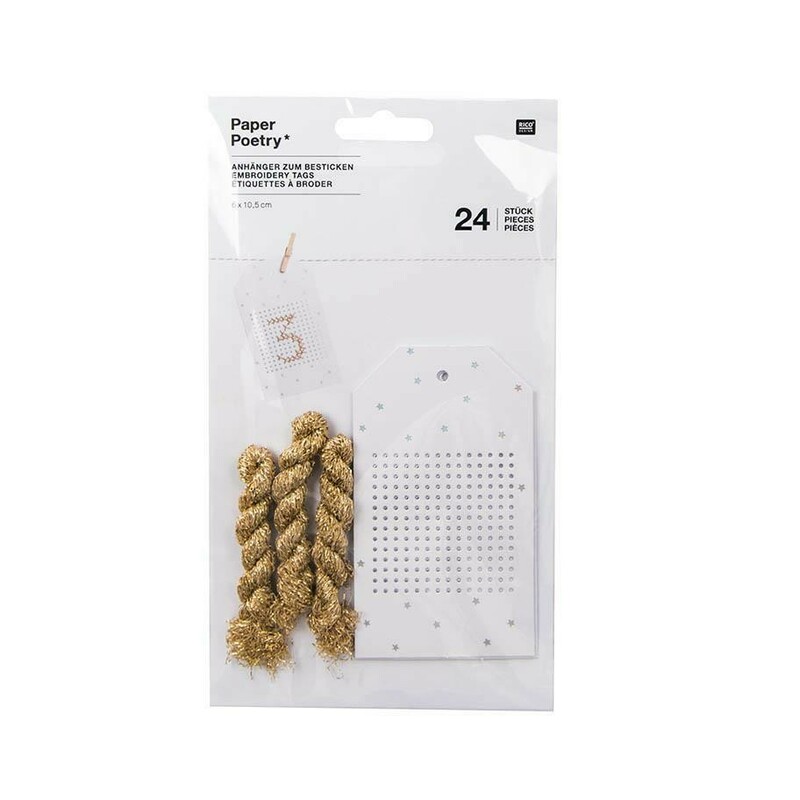 Use embroidery thread to stitch your own unique gift tags or advent count down. With punched holes to enable a stitching area of 13 x 13 stitches in cross stitch. Comes with gold thread for stitching.